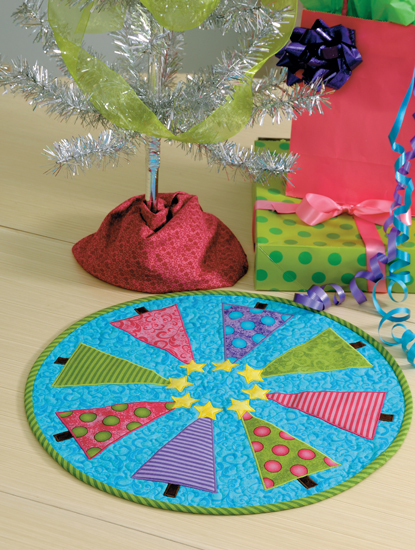 Isn't this table topper cute? It will be fast to make, too, which is just what I needed! Each project was made by a different designer - a host of creative quilters, as you can see... This book is also available as an eBook, so if you are in a hurry you can choose to download it. In the meantime, have a wonderful Thanksgiving celebration! Denise, you always have the best ideas. I love how insirational your blog posts are for me. Something cute yet simple is the key for me too. I miss seeing you and hope all is well with you and your family. Have a most wonderful thanksgiving and a beautiful and merry Christmas.